Eucalyptus is the signature tree of Australia, but can now be found in subtropical regions throughout the world. With a distinctive silver-gray bark and twisted trunk, some species of Eucalyptus grow as high as a 12-story building. Eucalyptus leaf consists of the dried, mature leaves from older trees. The active properties reside in its essential oil, which is extracted from the fresh leaves and branch tips, and is found in the dried leaves. 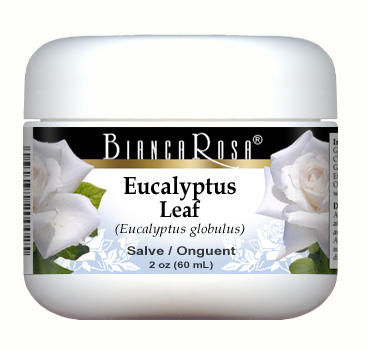 Eucalyptus leaf supports the respiratory tract and helps to maintain clean, healthy breathing passages. Its soothing yet pungent and aromatic properties are beneficial to the body's secretory-excretory functions in addition, to the maintenance of excellent bronchial/lung health. Applied to the skin, the oil stimulates the circulatory system . Like the similar soothing agents menthol and camphor, Eucalyptus is found in several familiar products, including Listerine Antiseptic Mouthrinse, Mentholatum Cherry Chest Rub, and Vicks VapoRub.